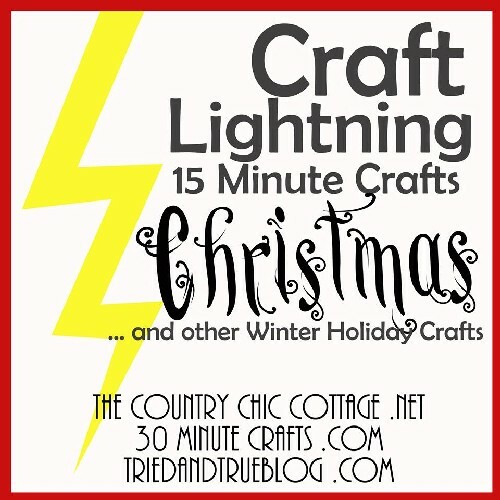 I’m excited to a part of another Craft Lightning series today! This week dozens of creative bloggers will be sharing holiday tutorials that can be made in 15 minutes or less. 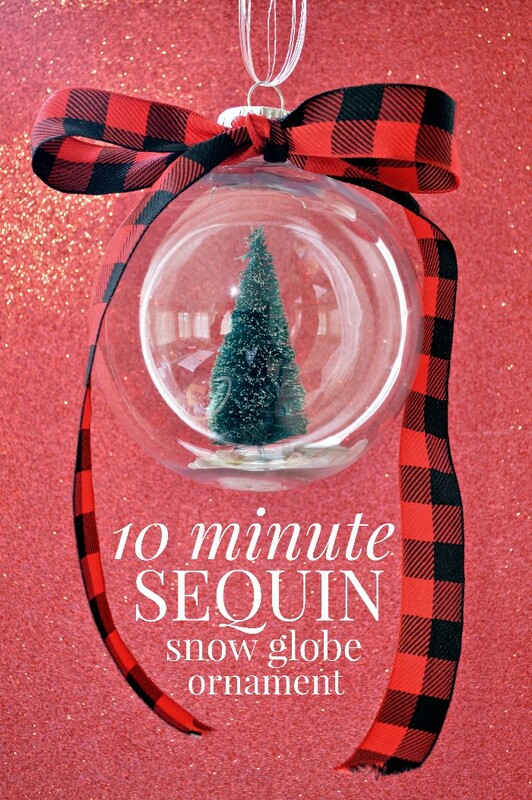 My submission for this round of quick crafts is this pretty snow globe ornament. 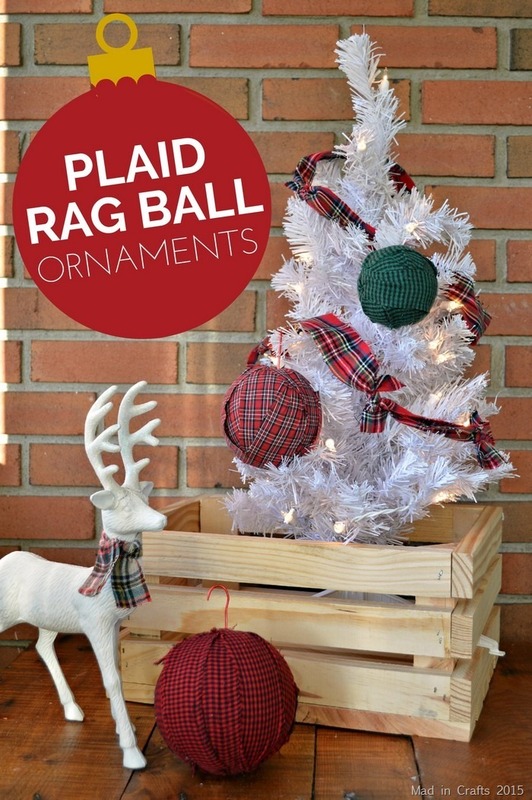 The ornament would look beautiful on any tree, and it would also make a thoughtful hostess gift this holiday season. Plus, it is quick and easy to make! You will be able to find all of the week’s lightning fast crafts on The Country Chic Cottage, 30 Minute Crafts, and Tried and True. Each day, these three blogs will have a round of the previous day’s tutorials, so you won’t miss any of the creative ideas. 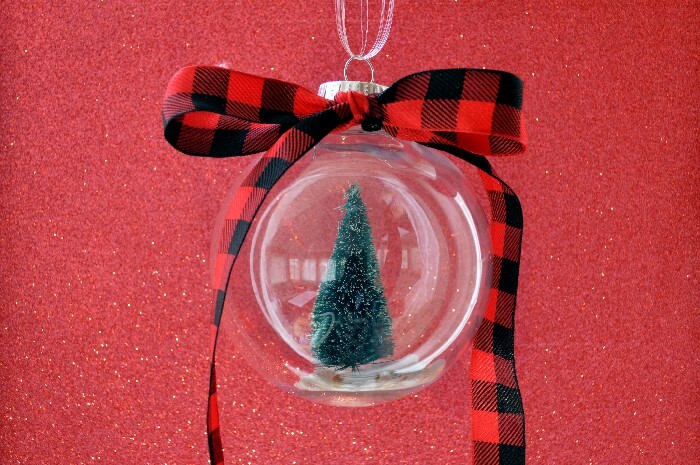 I will share my supply list at the bottom of this post in case you are interested in making your own quick snow globe ornament. 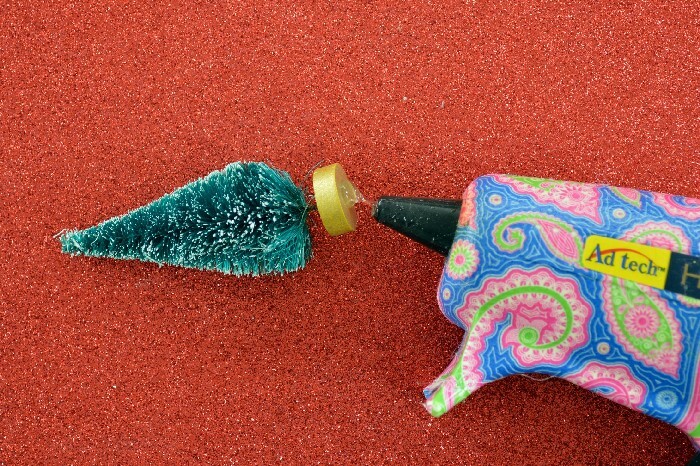 Start by adding a dollop of hot glue to the bottom of a bottle brush tree. 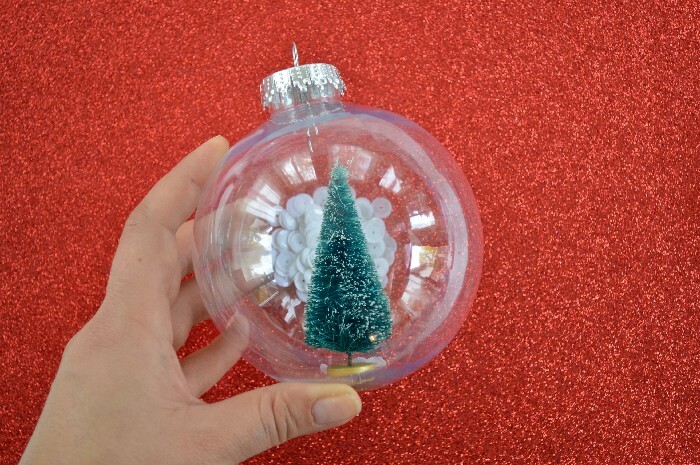 Make sure the tree is small enough to fit inside the clear ornament! I used needle nosed pliers to carefully place the tree on the bottom of the inside of the ornament. 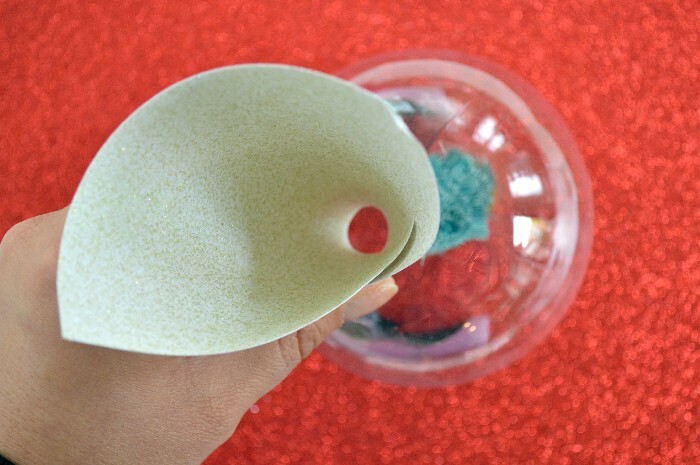 Next, use a scrap of paper to create a funnel which leads to the opening of the ornament. 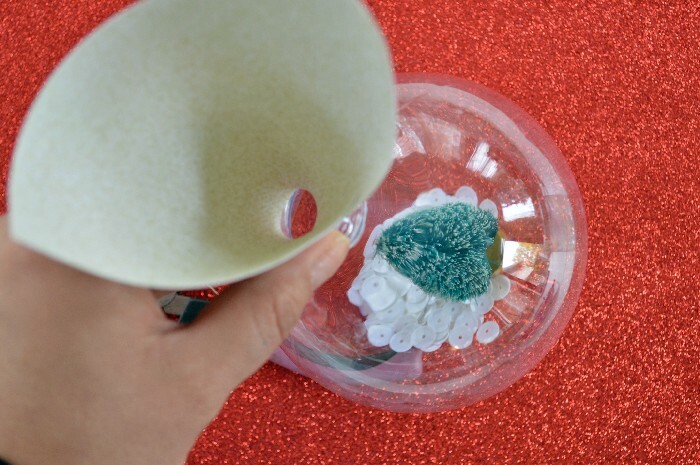 Pour the white sequins through the funnel into the ornament. 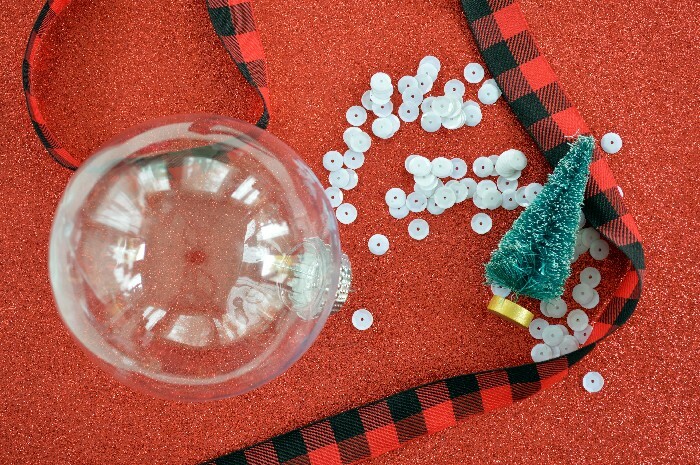 Replace the cap of the ornament securely. 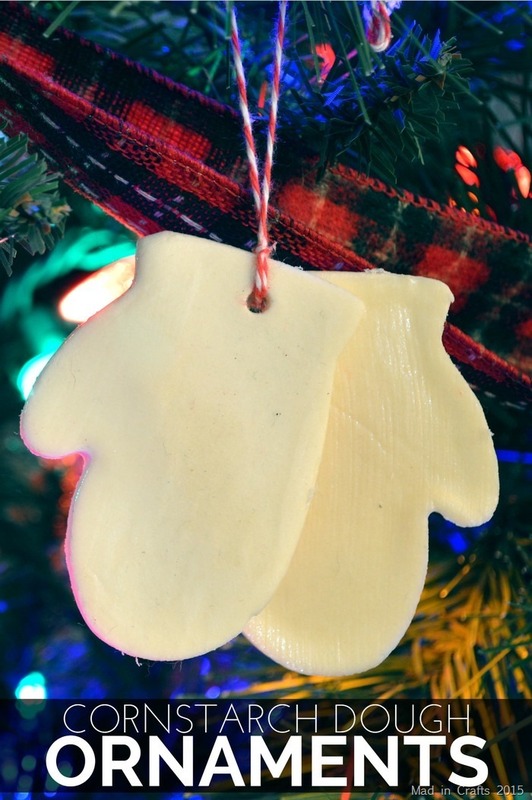 You can also choose to secure the cap of the ornament with more hot glue, if needed. 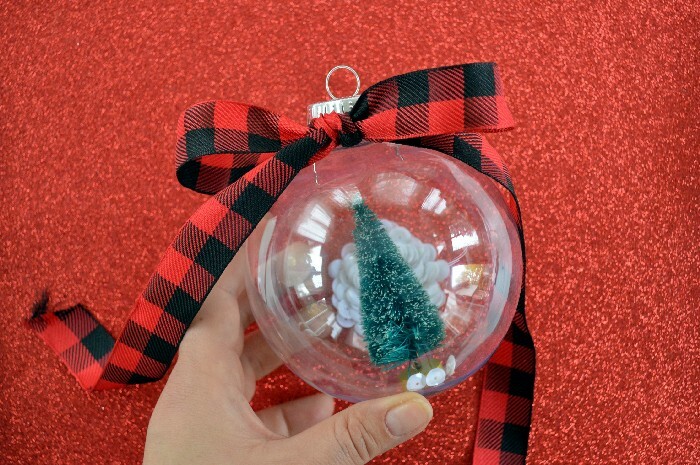 Tie a decorative ribbon around the ornament cap, and you are finished! Wasn’t that easy?! Since I used a plastic ornament, I am not worried about my kids shaking the ornament to get the sequin “snow” to fly around the tree. I am so excited to decorate for Christmas this year! Anything to get my mind off of this election, right? Don’t forget to check out 30 Minute Crafts, The Country Chic Cottage, and Tried and True for all the rest of the Craft Lightning projects this week!